This is what I did. 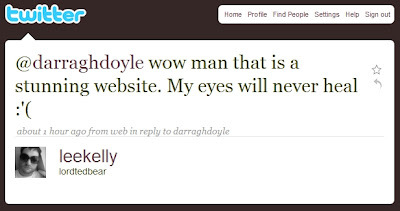 : Is this the best designed website in Kilkenny? Once you've got panache in life, you're sorted really. Jack Street - my new hero! He's so much better than you, Doyle.